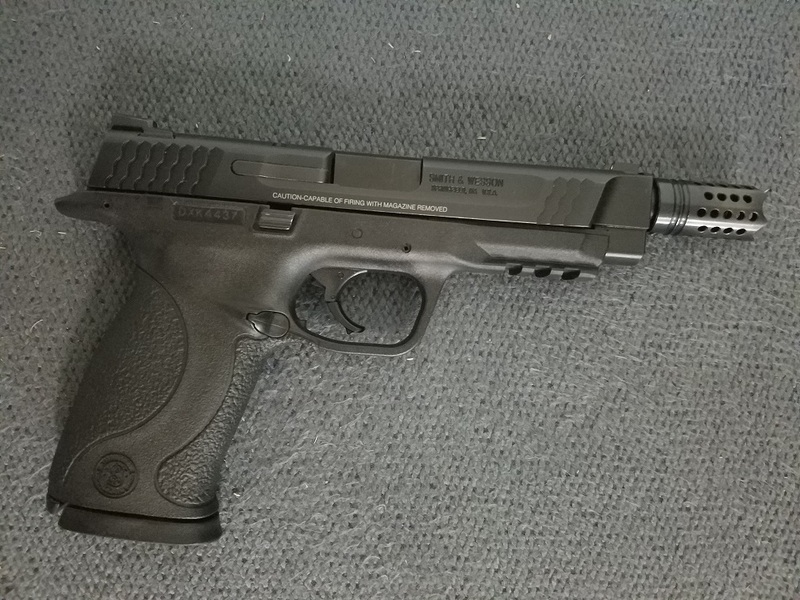 A fellow named Alton LeFebvre emailed me and asked if a Smith &Wesson M&P 45 could be converted for 45 super. I told him I didn't know. I said it should be fine, but to proceed at his own risk. The question nagged at me. 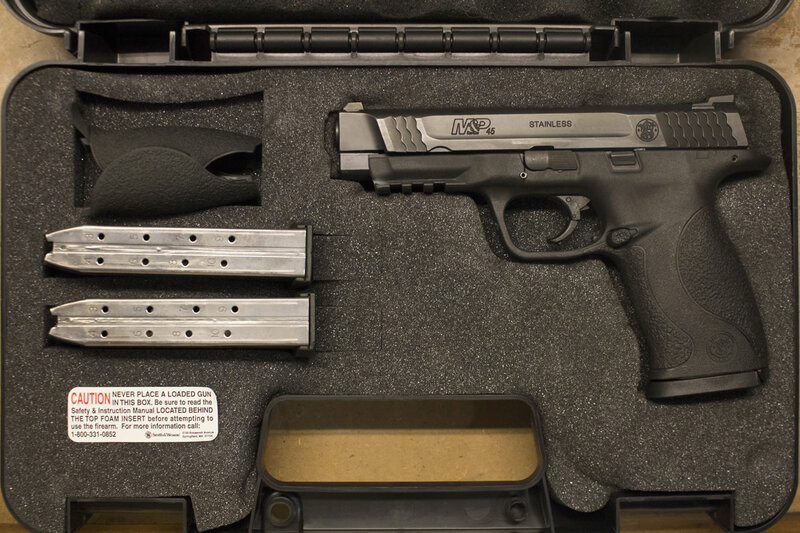 Finally I broke down and ordered a police trade in M&P 45 sent to my local FFL. I ordered it from Sportsman's Outdoor Superstore. Never dealt with them before, but they were first rate. I took it to the range. I put a couple of magazines of ball 45acp through it to test for function. Then (! !Don't try this!!)) I loaded a single round of some old Triton factory .450smc. I fired it, then picked up the brass and examined it. There were no signs of overpressure, no primer smearing, and except for a ding where the ejector hit the headstamp at way too high a speed, everything looked good. I did four more single round tests, and did a detailed examination of the pistol to make sure it wasn't taking any damage where the slide was slamming into the frame. It looked pristine, so I decided to proceed. I ordered a 24 pound recoil spring and guide from Wolff. Took it back to the range, and had a great time with several more boxes of that old .450smc. (I bought a bunch of boxes when it was on closeout at Sportsman's Guide right after Triton went out of business.) It worked just fine. It was a great pistol, but I wanted to do something more with it. 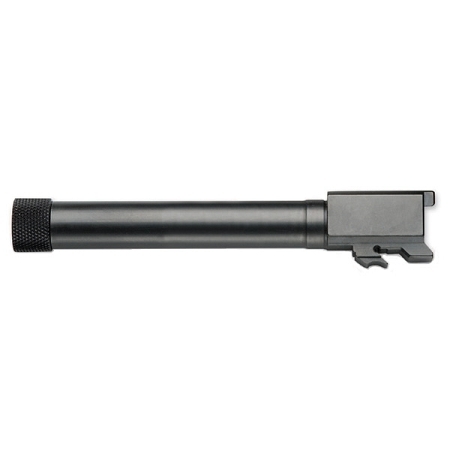 I ordered a factory M&P 45 threaded barrel from Bullseye indoor range and gun shop. Contrary to this image from the website, it does not come with a thread protector. 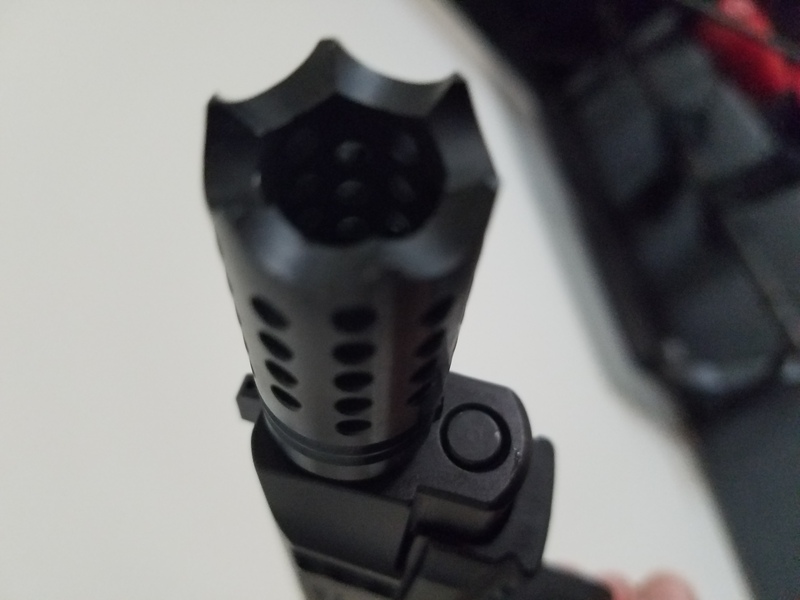 That was fine with me, because I was ordering a muzzle brake from Rex Silentium. This makes it really comfortable shooting 45super. Amazingly it will still cycle (barely) with ball 45acp. It's the softest shooting 45 I've ever experienced. I intend to try it with some light semi-wadcutter factory loads, but I'm betting it won't cycle. Fun project. * ".45 Super®" is a Trade Mark of Ace Custom 45's Inc.